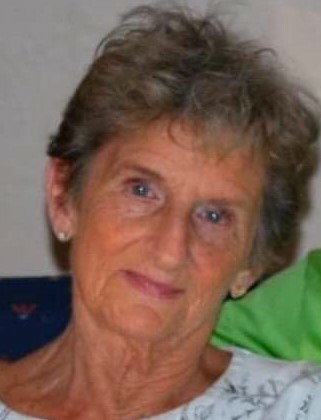 Barbara Gottshall, of Sylvania, Ohio, passed away on Sunday November 4, 2018 at The Grove Memory Care Community at Oakleaf Village after a long battle with Alzheimer’s disease, surrounded by her loving family. Barb was born on January 12, 1932 in Toledo, Ohio. She was a graduate of DeVilbiss High School and a long time sales manager at Lasalle’s Westgate. Barb married Donald Gottshall and they had two children, Laurie and Don. Barb was known for her quick wit and great sense of humor, and her love of her family. She was a talented artist and member of The Toledo Women’s Art League. She was preceded in death by her husband, Donald H. Gottshall, and her granddaughter, Sarah Burnard Heator. Barb is survived by her daughter, Laurie Burnard (Don), and her son, Donald C. Gottshall (Susan), as well as her grandchildren, Justin Burnard (Karen), Maggie Bernath (Ryan), and Allison Gottshall, and great grandchildren Grace, Anna, and Isabella Burnard, Tyson and Alex Bernath, and Emma Heator. A gathering of family and friends will be held on Friday, November 9, 2018 at Reeb Funeral Home, Sylvania from 4-8:00 P.M. with the memorial service at 7:30 P.M. The family would like to thank Oakleaf Village, The Grove, and Ohio Living Home Health and Hospice. In lieu of flowers, donations may be made to the Toledo Area Humane Society.